One of my first grade classes was short (25 minutes instead of 35), AND was missing 6 students. 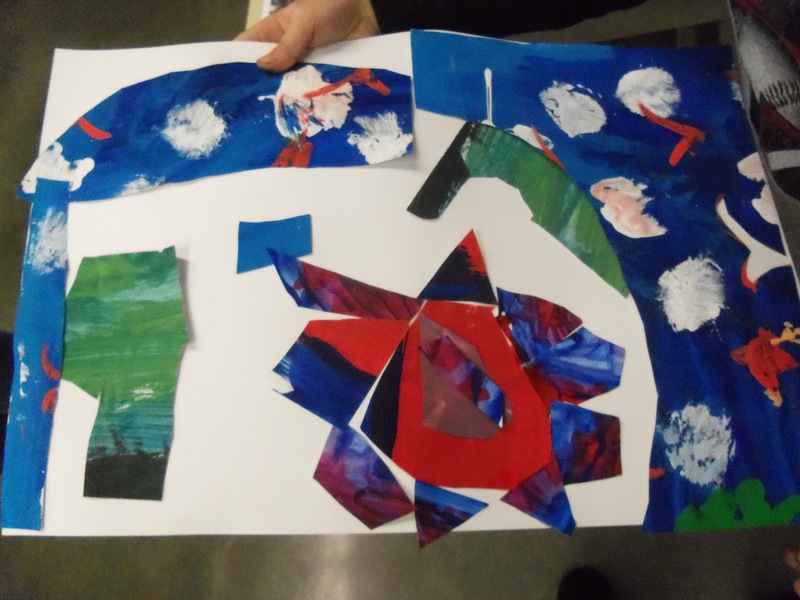 Rather than rush through the planned painting project and end up with a not-so-great products and a lot of kids with work to make up, we went into 'wing it' mode, and did more 'open ended' art. 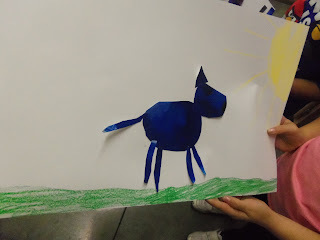 No examples, no directions, just gave them the materials and let them go! really great collages made from old abandoned artwork. "It's a Chinese Restaurant! 'Come and get your chicken and green beans!'" "This is a really mean cat"
"There's a guy waiting for the bus, and there are two lights"
I personally LOVE Open-Ended and Choice Based art. Though I don't have the organization or stamina to run an entirely choice-based art classroom, I think that incorporating days where the kids can just create without examples, modeling, directions.... is EXTREMELY important. I truly LOVE days when I get to experience 100% genuine kid creativity at its finest. It's all about finding the balance that's right for you and your kids. I completely agree with you. My son is very creative, and would have a hard time always being given a model or directions on what he was "supposed" to create. 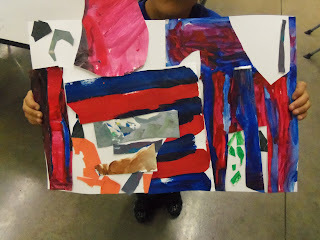 I love that in his art class he's often allowed to go with his heart! 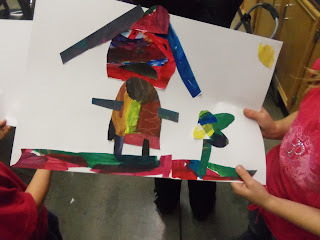 I am a preschool art teacher and agree with your statement that creating without models is extremely important. 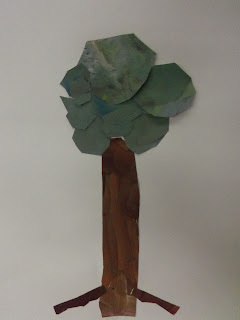 If I want the children's art to be more uniform, I use similar or the same substrates and mediums. for example, for Mother's Day the substrates were little wooden birdhouses (Dollarama!) and the medium were acrylic craft paints in pastel hues. All the birdhouses were open ended and individual enough for my sensibilities and cookie cutter enough to suit the occasion! I often also use paper shapes and encourage the children to decorate them with the mediums provided.